From the humble beginnings of a small machine shop set up by one man in his spare evenings, Altec Engineering has steadily grown alongside its customer base to become a one-stop-shop for precision engineering. Founded in 1978 by Ron Waite MBE, a technician at Durham University, Altec Engineering started off with just a lathe, pedestal drill and milling machine in a small abattoir in Coxhoe, just south of Durham. Fast forward nearly 40 years, and after an MBO and significant capital injection, as well as a £6m investment from the Business Growth Fund, Altec Engineering now turns over £15.5m and employs nearly 200 people, making it a true manufacturing force to be reckoned with. “Over the last few years the business has really transformed and diversified into a number of different markets, yet we’ve tried to stay true to the company’s original ethos of high-quality production engineering,” comments Paul Lackenby, Group Business Development Director, at Altec. However, the company’s flagship offering is its CNC machine shop, which serves to manufacture ultra-high precision, low volume prototype components for the aerospace, defence, oil and gas, and nuclear industries. Given the volume of opportunity facing Altec, Paul and the wider management team made the decision to move away from entry-level machining and start looking for a machine tool supplier to help them both capitalise on the short term leads coming through the door, and – looking to the future – help create a blueprint for success which could be expanded to the rest of business units. Altec Engineering’s first Mazak was a QUICK TURN NEXUS 450 M II turning centre, which gave the company the high torque capability needed to complete a large oil and gas thread project. “Just 12 months later we were then able to invest in a Mazak VTC 800 30/SR vertical machining centre – our first foray into 5-axis territory,” says Paul. Altec purchased the VTC specifically for a new defence contract and enhanced the machine with added high pressure coolant, extended tool magazine, and remote wireless probing. The project involved manufacturing high-accuracy and high-tolerance transmission equipment for the Challenger II battle tank for the British Army. “I would go as far to say that was one of the hardest jobs I’ve ever production engineered and without the VTC we wouldn’t have had the capability to do the work, and ultimately wouldn’t have won the contract,” says Paul. The addition of 5-axis machining to Altec’s capabilities reinforced the company’s credentials as precision machining specialists in the North East, and sparked further investment, to both ease the strain on the VTC 800 and provide cover for speculative contracts in the aerospace sector. 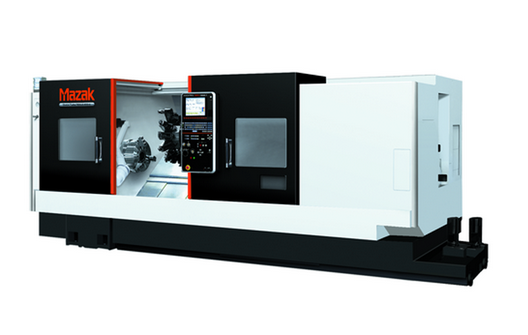 “We quickly found that the VTC was running flat out 24/7, and we were in danger of turning down work for other customers and therefore decided to invest in another Mazak 5-axis machining centre: a VARIAXIS i-700 twin pallet multi-tasking machine tool, complete with the new MAZATROL SmoothX control. Paul continues: “I would certainly say there’s a certain comfort factor with a Mazak. When a customer wants reassurance, they can come to our facility and see that we have brand new, state-of-the-art machine tools, which makes us a very attractive option. Looking to the future, Paul sees Altec phasing out a number of existing machine tools that have reached their operational limitations. 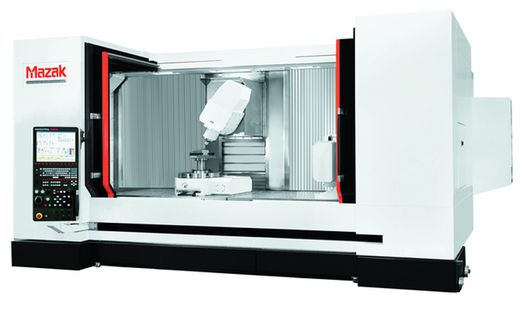 “We really see the benefit of consolidating our machining operation with one partner and one CNC program platform. We plan to keep our machine footprint the same size at this facility, but really enhance our multi-axis technology. In fact, we’ve just purchased another VTC 800/30SR, to the same specification as the first machine, to furnish our growing presence in the aerospace sector. We were invited to contribute to the Aerospace Growth Partnership’s ‘Means for Ascent’ strategy document, and it is a market we see real potential in given the strength of our machining offering. “We have the benefit of a multi-site operation, which means that if a customer wants to start general production of one of its prototypes made in our machine shop, we can accommodate that at either our Sigma Technologies or Ronco Engineering site. They will still get the same expertise and service levels, but at a different location, which means we can keep their costs manageable,” Paul concludes.